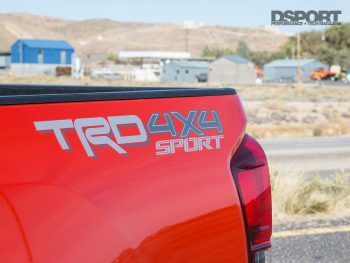 You are at:Home»The Cars»First Drive»2019 Toyota Tacoma TRD: Is it Worth the Price Tag? 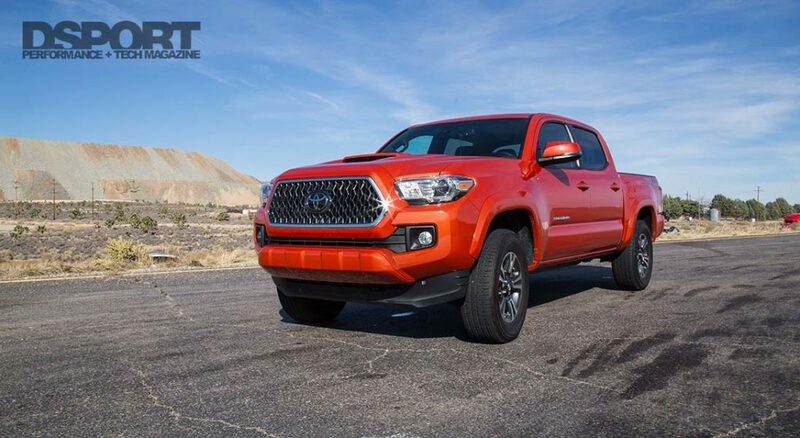 2019 Toyota Tacoma TRD: Is it Worth the Price Tag? 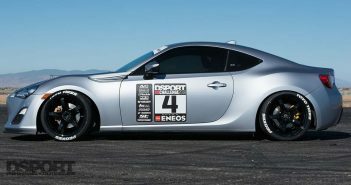 Import performance fans usually don’t care much for domestic cars. Big V8 owners don’t like small, import engines. But trucks are for everyone. Whether you like to tow your race car, move a few pieces of furniture here and there, or you simply like convenience, everybody can find a need for a pickup. At DSPORT Magazine, trucks are a must-have. Whether we’re moving engines, towing our 1,400whp R33 GT-R to the track, or we’re just picking up some office supplies, we always like to keep our eyes out on the truck market. 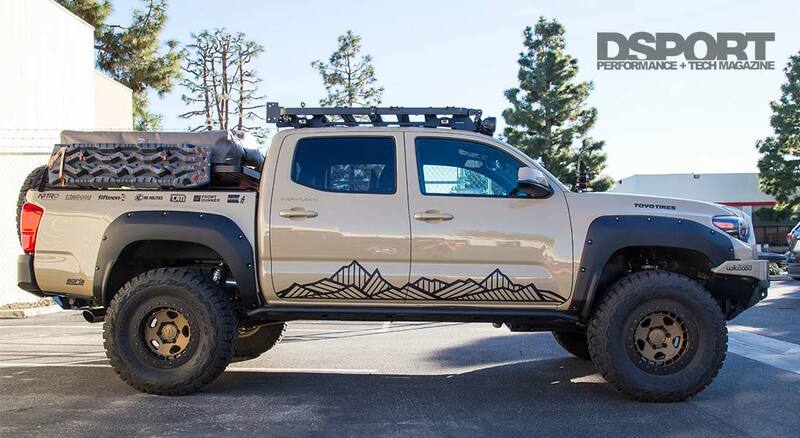 For the 2018 SEMA show, Toyota kindly handed us the keys to the 2019 Toyota Tacoma TRD so we can test it out from California to Nevada. This test combined all types of driving conditions. So, what did we think of the new truck? The mid-size truck market couldn’t be more competitive. After all, Ford brought back the Ranger, and the Chevrolet Colorado and GMC Canyon have been gaining fans left and right. But the Toyota Tacoma is no stranger to being on top of the food chain. 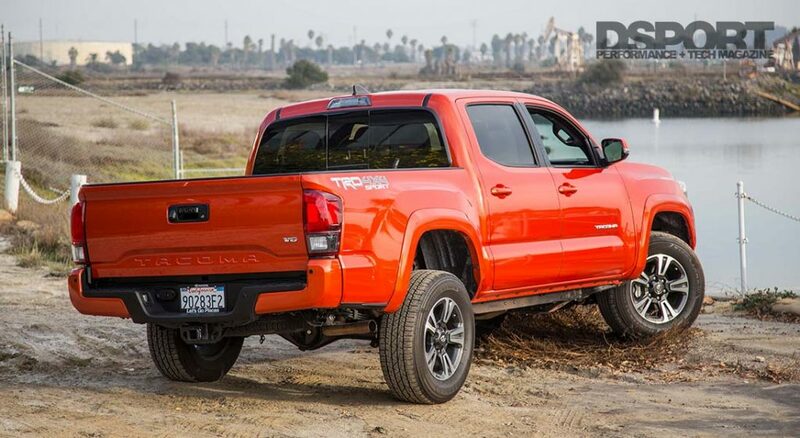 The Tacoma hasn’t been known to skip any beats since 1995, with sales numbers to prove it,. 2019 marks the third year in the third generation of the Tacoma. After the big update in 2016, Toyota has only been making small adjustments to their third generation pickup. The fender flares are undeniable in the new Tacoma, giving it an aggressive touch every truck needs. Ride height is high enough to accommodate off-roading without the need for upgrades. However, it doesn’t sacrifice ride quality all that much. The combination of the sleek headlights with the tastefully-designed grille proves that you shouldn’t fix anything that isn’t broken – justifying why Toyota hasn’t made too many changes to the exterior. With the durable exterior, the interior is also rigid. This has received some criticism from many, but I believe it fits the truck’s personality. Controlling the cabin features are made easy with big knobs and buttons. The rigidity of the cabin doesn’t bother me; however, the hard plastic everywhere can use a little attention. 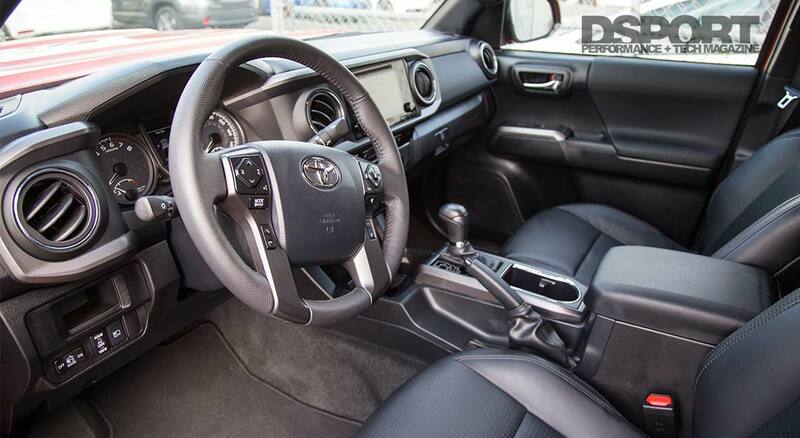 Cabin visibility is outstanding, but, taller drivers may find piloting the Tacoma rather challenging. The seat doesn’t go back far enough, and it is certainly too high for someone over 6’2”. Cabin noise is reduced through a series of insulation, sealing, and aerodynamics that reduce wind noise. Does the 2019 Toyota Tacoma serve daily-drivers well? In terms of ride quality, absolutely. It might feel too light in the rear. This may give the truck a bit of an instability-feel, but it is smooth for a pickup truck this high off the ground. You have to keep your foot light on the throttle if you want to achieve the advertised 18/22 mpg fuel consumption, which seemed to be quite difficult during our experience with the pickup. Under the hood of the Tacoma sits a 3.5-liter V6 direct-injection engine. The V6 features variable valve timing technology. 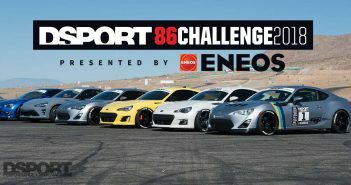 With a compression ratio of 11.8, it delivers 278 horsepower at 6,000 RPM and 265 lb-ft of torque at 4,600 RPM. Although the engine hasn’t given us problems going up hills and passing cars on the highway, we can’t help but want more. We aren’t asking for a 10-second truck, but a little better acceleration could give this truck a significant edge over competitors. The power is sent to the rear wheels through a six-speed electronically-controlled automatic transmission. 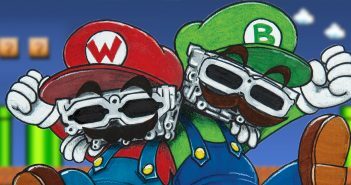 The transmission lags slightly between gears, especially when downshifting, leaving much to be desired. Speaking with a heavily upgraded Tacoma owner (MilkTeacoma on Instagram), re-gearing the transmission makes all of the difference in acceleration at lower RPM. 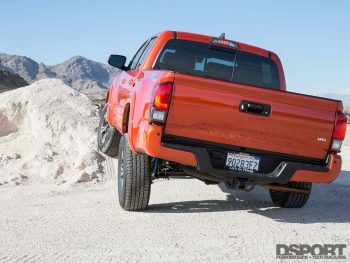 There is no shortage of safety tech in the 2019 Toyota Tacoma. Regardless of the trim-level you choose, your Tacoma will come with the Safety Sense P. This features forward collision warning, automatic braking, pedestrian detection, lane departure warning, automatic high beams, and adaptive cruise control. More safety technology is available, like the blind spot monitor, rear cross traffic alert, and the rear parking assist sonar. All of the safety features stacked on our press Tacoma worked as they should. We had no complaints in this department. Fortunately, we didn’t get to explore how well designed the airbags are, but on paper, they appear promising. With driver and passenger advanced airbags, seat-mounted side airbags, knee airbags, and rear roll-sensing side curtain airbags, you should be safe enough. Despite not having major issues with the Tacoma’s sound system, we recently had the opportunity to listen to a Tacoma sporting an OEM Audio Plus system. That’s when we started having problems with the factory system. Perhaps one of the best sounding stereos I’ve ever encountered, OEM Audio Plus designed this kit specifically for the Toyota Tacoma Double Cab. Using six proprietary microphones, engineering this system requires an extensive acoustic measurements. The best part about this product is that it’s a plug-and-play. This system requires no altering to the factory system aside from a few plugs. One sub is added in the storage area behind the rear seat, but an additional sub is also offered. We listened to a Tacoma with two subs, and it makes all of the difference. The cabin design works like a music studio in terms of how the sound travel. This will give you a live-concert experience during your drives. 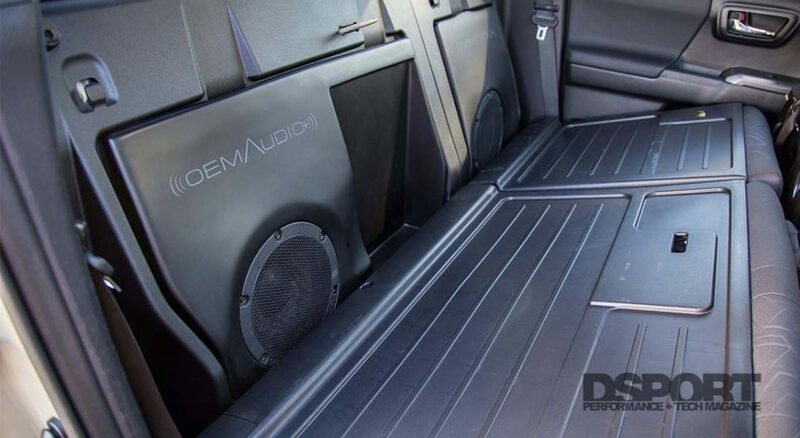 Check out the OEM Audio Plus Tacoma sound solution HERE. As far as the quality of the truck, the durability is felt the second you put the transmission in drive. 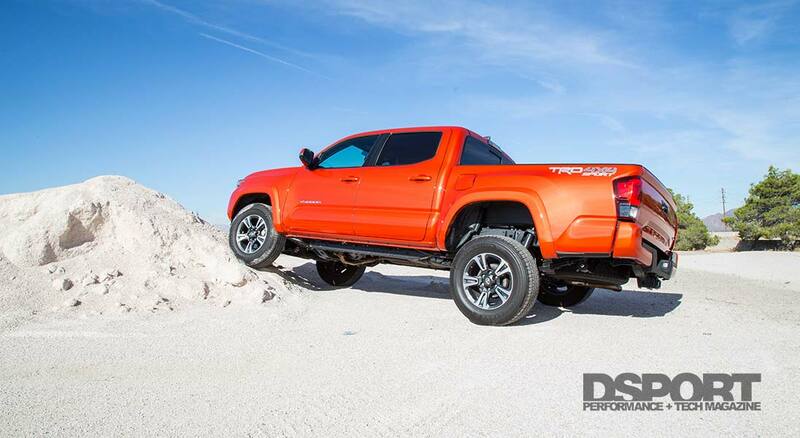 Off-roading in the Tacoma will be a pleasure, with a Crawl Control feature, electronically locking rear differential, multi-terrain select, hill start assist control, and valving-tuned Bilstein shocks on the TRD Off-Road trim. Exterior design is one of my favorite parts about the truck. It features elegant, yet aggressive, touches throughout. Some additional power is desired; however, we say that about just any vehicle. Power should no longer be an issue. Aftermarket solutions are constantly being offered for this platform. If the rigidity of the interior doesn’t appeal to you, you’re probably out of luck. There isn’t too much you can do. However, true truck enthusiasts may find that more of a bonus. The 2019 Toyota Tacoma starts at $25,550, making it a great bang for the buck. Don’t get your hopes up too high, however, this price tag can quickly jump up to the $45,000 territory once you start adding your favorite features. We recommend finding a middle ground where it provides you with some of the necessary features, then you can turn to the aftermarket to make it that much more capable.